From the start, mother! Was always going to be a strange film. Give Darren Aronofsky, one of the better auteur directors working today, free reign and you’ll get this weird, psychological and mysterious film that is wholly unique and impossible to describe. So this is a review. I don’t know honestly how to even approach writing any sort of combination of words that can articulate what this film even is, but here goes nothing. 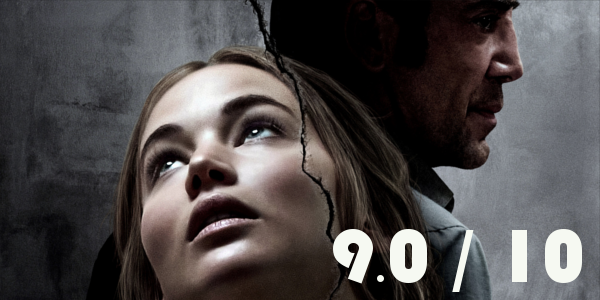 A couple's relationship (Jennifer Lawrence & Javier Bardem) is tested when uninvited guests arrive at their home, disrupting their tranquil existence. Obviously, the story is not as surface level as the synopsis would have you think, but the less knowledge one has going in to the film, the better. The number of layers and different interpretations that can be deciphered from mother! is hard to fathom, and even harder to wrap your head around. The film is this insane gathering of symbolism, ideas, and general trippy-ness that is unmatched in 2017, and possibly ever. Throughout all of this mind-boggling sense of tension and eerie nature of the setting, the performances manage to shine through. Michelle Pfieffer in her brief role is just so much fun to watch and Ed Harris gets those small moments as well. Javier Bardem walks this fine line between crazed and passionate that brings so much to the role and to his relationship with his wife. But the mother! truly rests on the shoulders of one performance, Jennifer Lawrence. The actress absolutely brings her A game here in a performance that is intense and emotional and 110% vital to this film working. Lawrence delivers and mother! is better because of it. 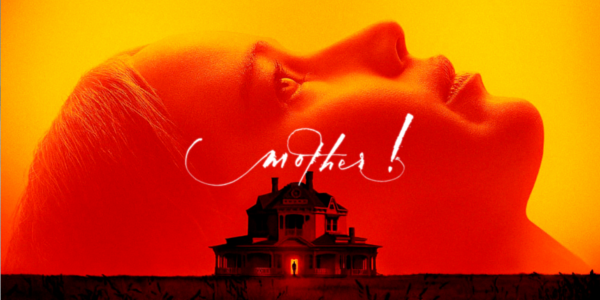 One of the better, if not the best, aspects of mother! is the pure nature of the puzzle it creates. You’ll want to piece it all together as the film progresses and even more so after the credits roll. The sheer amount of visceral imagery that Darren Aronofsky places in the third act is enough for a whole film, let alone 30-45 minutes. It’s hard to find the space to breathe in that climax alone, but the whole film has this claustrophobic and pressure filled tone that’s illustrated in its use of close-ups and over the shoulder shots that never let you observe the surroundings all that much, thus only adding to uneasiness. Overall, mother! is an experience that is so hard to put into words, despite my best efforts. Even with the true craftsmanship that went into this film, both in front of and behind the camera, it’s hard to recommend a film of this design. Not everyone is going to enjoy the film and it’s likely to be one of the more divisive films of 2017, but it’ll start conversations, for better or worse. mother! is a film that festers in the mind, a film that perplexes and causes more questions than answers, but it’s also a film that’ll be analyzed and discussed by film fans for years. So what did you think of mother!? What is your interpretation of everything that happened in this strange film? Share, subscribe, comment below, and as always return to I Am Sam for weekly reviews and insight.